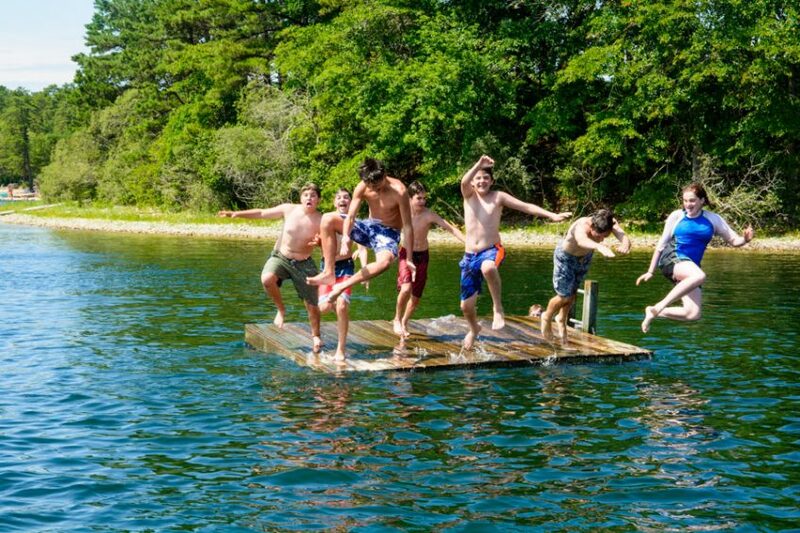 Sharing sides of sparkling Spectacle pond, Camp Burgess & Camp Hayward have their own waterfronts for fun in the sun. Fun and games with the cabin or in their interest group. 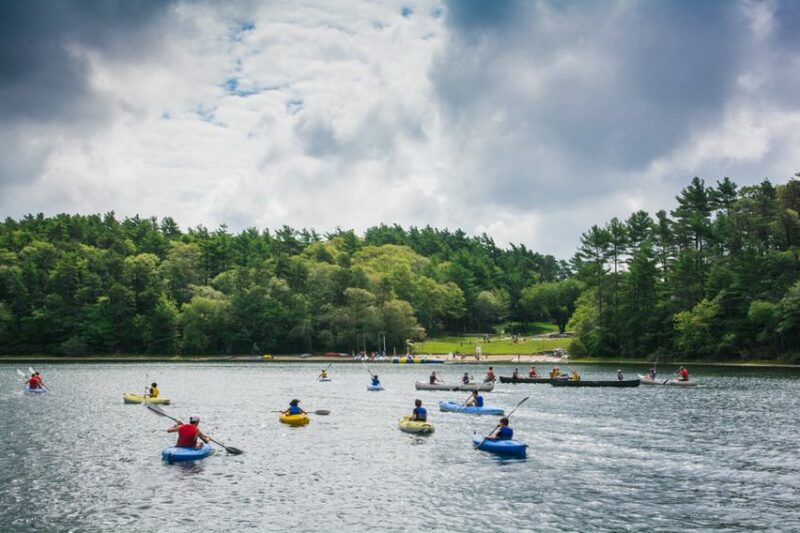 Whether it is playing dock ball, sharks and minnows or water aerobics, everyone loves spending time in Spectacle pond. The swimming interest group finishes their week with a swim across to the other camp in the Spectacle Challenge! Beach Party, our free swim time, happens every afternoon to help cool off from the summer sun! A great sport and exploration activity! 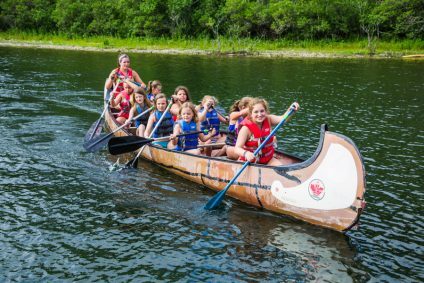 Campers learn the strokes and basic concepts of kayaking through fun, interactive games. Obstacle courses and relay races help practice skills in a fun way! Going beyond the normal swimming areas, campers will explore the whole of Spectacle Pond including the swamp! 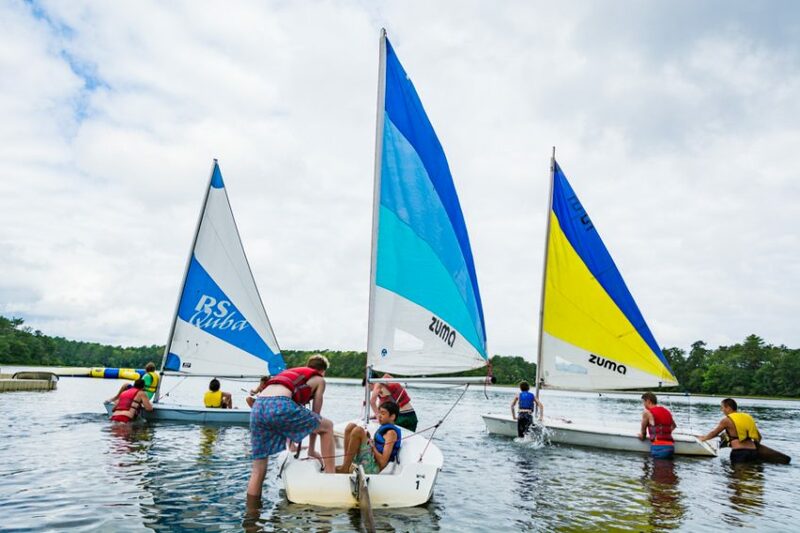 Offered in the mornings, Sailing teaches campers to tack and jibe across the pond in a range of boats for all abilities. Some instruction and teaching takes place on the beach before campers set out on the Pond. Through exciting games and obstacle courses campers learn the basics of sailing and enjoy the beauty of Cape Cod. No previous knowledge or experience is necessary! 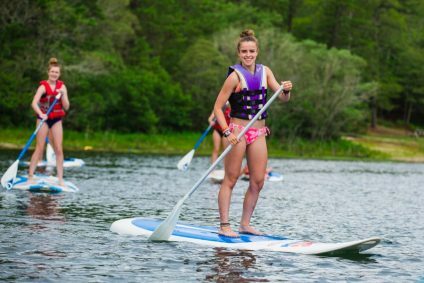 Cabins can try paddleboarding or stand up paddleboarding where they can play games, explore the swamp or race to the island. Trying to “walk the plank” or “simon says” are some paddleboard favorites. In the windsurfing interest group, campers can also challenge themselves to surf the wind, learning how to tack across the pond. A great cabin activity for any time of the day! 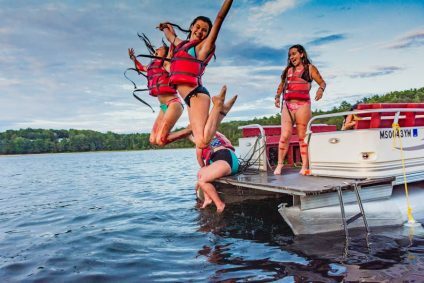 Take the plunge with the whole cabin or have a “best jump” contest. Great to have a cabin chat in a spontaneous place or just goof around on!